In live action, when the camera moves around in a scene, objects near the camera will appear to move by a greater distance than objects far from the camera. In 2D animation, a similar effect can be achieved by creating a multiplane. In Harmony, you can easily set-up a multiplane by creating a background over several layers, spreading them on the Z-axis to add depth, and then moving the camera through the resulting environment to create an impressive perspective illusion. 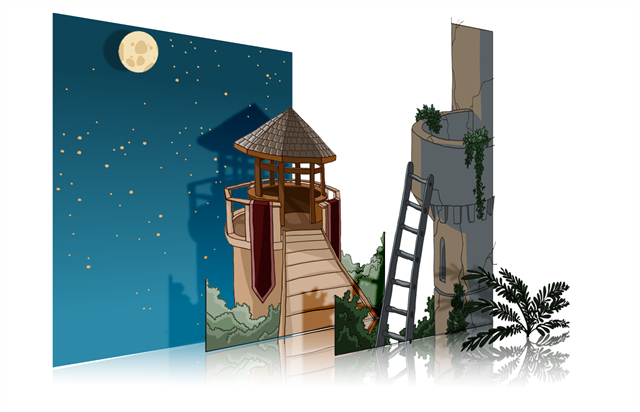 Using the Maintain Size tool, you can easily turn a normal multi-layered background into a multiplane. This tool allows you to move a layer closer to or further away from the camera all the while automatically adjusting the layer's size proportionally to its distance from the camera, preserving its a apparent size from the camera's point of view. Hence, you do not have to worry about the size and position of your layers when you design your background. 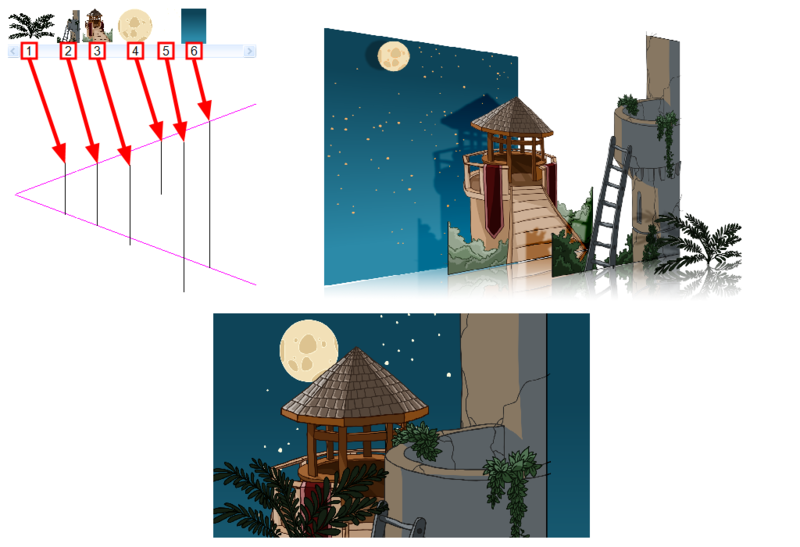 In a new Harmony scene, draw the different elements of a background on separate layers. Then, follow the steps below to turn your background into a multiplane. 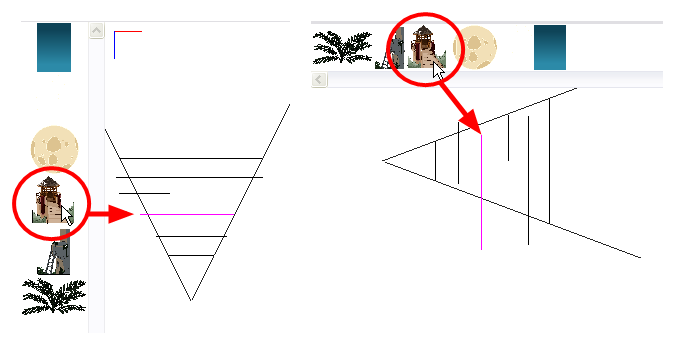 In the Advanced Animation toolbar, select the Maintain Size tool. From the top menu, select Animation > Tools > Maintain Size. Drag the layer along the Z-axis inside the camera cone. Your element will move on your scene's Z-axis, but it will keep the same apparent size in the Camera view.